Did you sing in high school or college? Missing the feeling of singing with a group of positive people? Whether you love the spotlight or prefer to make music and blend in—a choir is a great place to reignite your passion for music making! 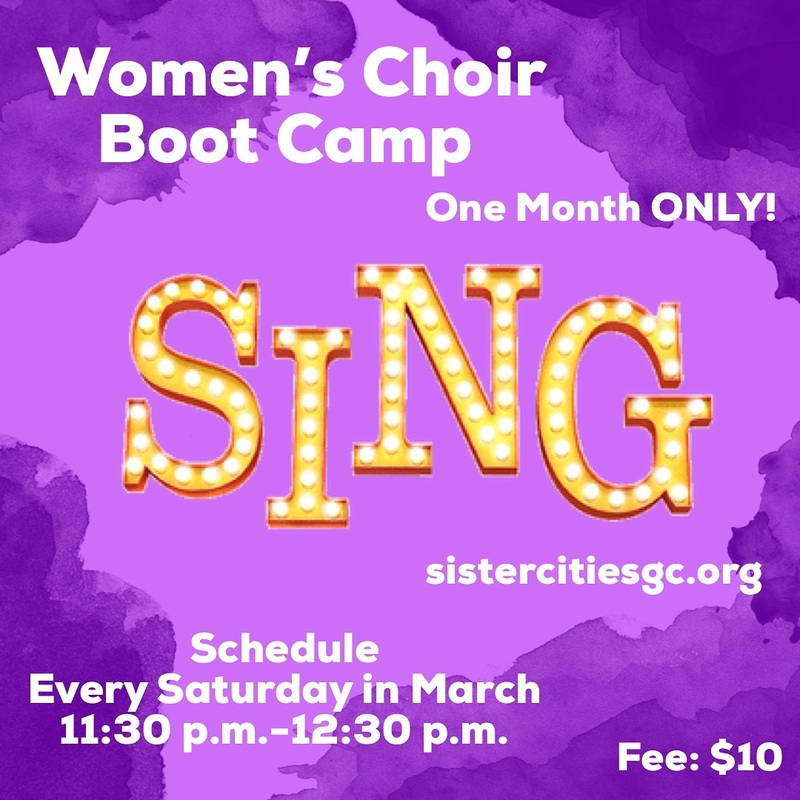 In celebration of Women’s History Month, SCG is launching a Sister Cities Women’s Choir Boot Camp. The new ensemble will meet every Saturday in March from 11:30am-12:30pm to sing together under the musical leadership of international musician, Kendra Balmer. No Auditions are necessary to join–only a commitment to attend rehearsals. All participants 18+ are welcome to join. The workshop fee is $15 for all five Saturday sessions. Early Bird Registration is $10 until February 15th. The choir will meet throughout March and the boot camp culminates with a performance at the upcoming Girl Power Music Fest on Saturday, April 6th. Registration closes February 23rd! Previous CPS Serenades the Community! Next SCG Performs at AAMP!